Offers practical steps to rebalancing and healing our gut microbiome to relieve stress, digestive upsets, inflammation, bloat, excess belly fat, and improve mood. Wise offers a needed alternative to the complex world of fad diets and calorie counting in this easy, evidence-based guide for wellbeing. 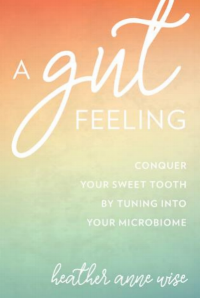 Rooted in scientific research and providing a number of healthy sweet fixes high in prebiotic and probiotic foods that support the growth of healthy gut flora, this book is a practical guide to help heal our relationship with food and tune into what our gut has been trying to tell us. Green Vibrance contains 25 billion probiotics, prebiotics, enzymes, fruits and vegetables, liver support, vitamins, and trace minerals to support digestion of food and absorption of nutrients, and circulation. All of the strains in this probiotic/prebiotic blend have been shown in research to be effective as recolonizing the gut with beneficial flora. Keep in the refrigerator or freezer to keep fresh! It's the same great product, now tastier than ever. Mix 1/2 tsp with your favorite nut milk for a sweet treat. Green Vibrance contains 25 billion probiotics, prebiotics, enzymes, fruits and vegetables, liver support, vitamins, and trace minerals to support digestion of food and absorption of nutrients, and circulation. Keep in freezer after opening. This probiotic formula is designed to deliver active organisms shown to promote health gut microflora, protect the gut lining, and boost the immune system. 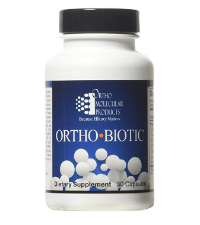 Saccharomyces boulardii, an extensively researched probiotic included in this formula, has been shown to help restore microflora balance by enhancing all beneficial flora function. Super Kids Vibrance, for ages 2 and up, rapidly delivers a multitude of trace nutrients from fruits, vegetables, and protein that will be used to support growth and development. Light, fruity flavor. Tastes great mixed with a little fruit juice and water. Adult love it too. This formula is anti-fungal, anti-bacterial, and anti-bacterial and has been shown in research is be highly effective at addressing SIBO. It also contains anti-parasitic ingredients to address mild parasite overgrowth.